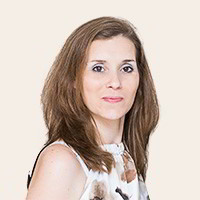 Nevena is a HR specialist with more than 8 years of experience in the field. She has led more than 10 000 interviews and has hundreds of successfully placed candidates. Some of the areas she is particularly passionate about include personnel recruitment, payroll, HR administration and business trainings. She has a Masters Degree in Finances and a BSc in IT, as well as a certificate in Health Management. She is the author of online articles in the areas of obesity research, weight management and healthy living. As a Project Manager at Adecco she developed and led a large number of the company's training schemes. Her current projects within the field of HR make the best of use of her skills. Nevena has a passion for designing team buildings and simulations, for developing different skills in leaders and managers, for working in big corporations. Some of the trainings she has recently designed include - Project Management, 5 Star Customer Service, Effective Communication.